​This weekly class is designed to create a community of parents and their toddler-aged children. ​We will spend our mornings together as a group of parents and children moving at the slow pace of the child. We will experience the freedom of open wandering time as well as dependable rituals that young children so enjoy like singing songs and sharing food. 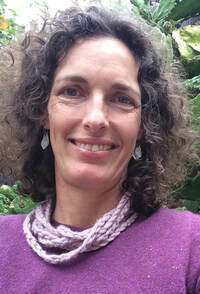 Juniper Dwight is an AMI Montessori Primary Directress and has taught in a classroom of 3 -6 year olds for the past 17 years. In her many years as a teacher and as a parent to her two grown daughters Juniper has gained a deep respect for both the different ways children present and engage themselves and the universal thresholds they pass through as they do the work that they cannot help to do; the work of becoming a part of the world they observe around them. Because every child and every parent is unique, so are our parenting relationships. Juniper’s goal is to inspire parents to provide developmentally nourishing environments for their children in order to aid their work of self-construction. Juniper loves to sing, especially with children. She grew up on a farm in the foothills of Santa Barbara spending all her free time exploring creeks and foothills.